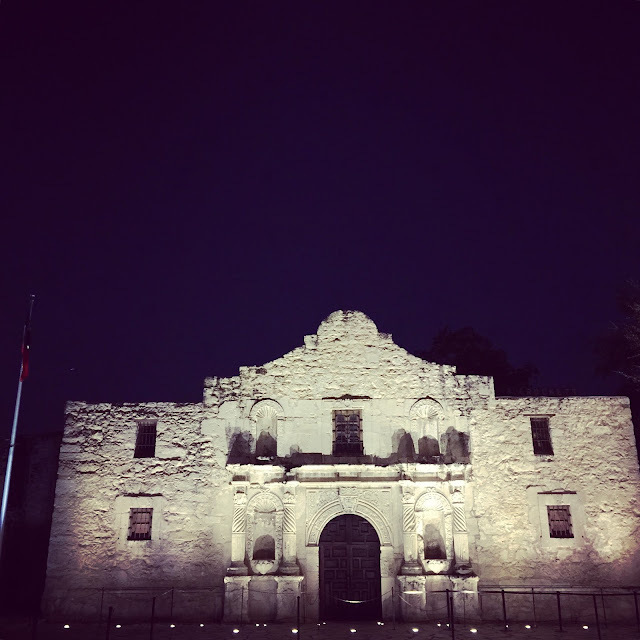 Lisa loves John: A San Antonio Weekend! Ohh, Monday... Here you are again! John and I spent the weekend in San Antonio and didn't get home until late last night. Here's a quick peek of our weekend adventures! 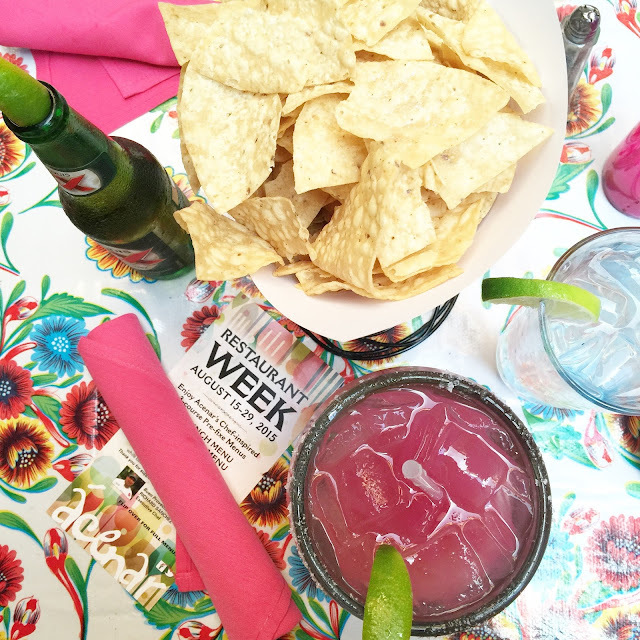 We explored the Riverwalk in downtown San Antonio, and enjoyed a lovely Mexican dinner outside at Acenar. And you can't go to San Antonio without remembering The Alamo! 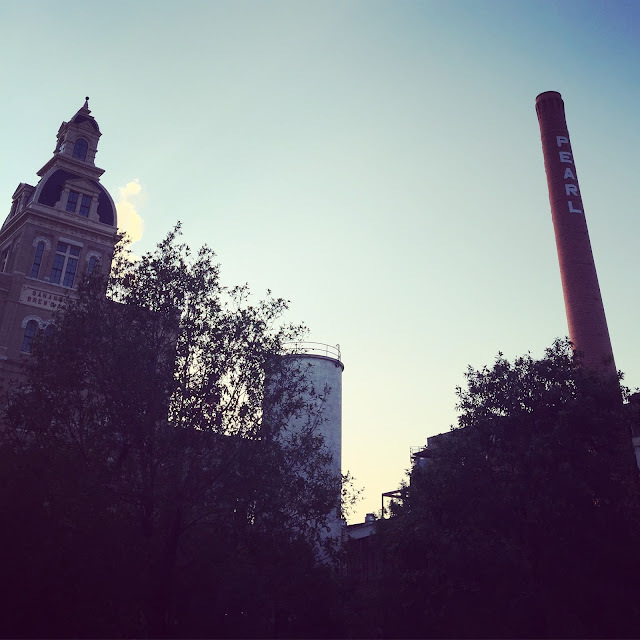 We explored the Pearl district and had a lovely dinner at Southerleigh. 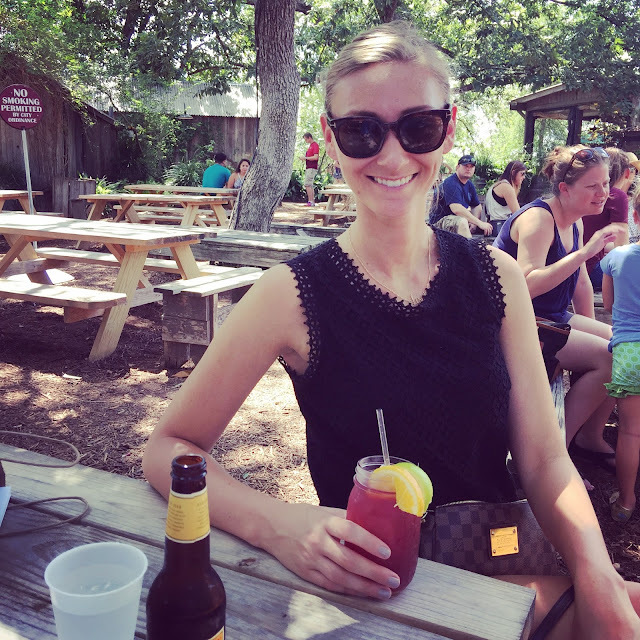 We explored Gruene, Texas with a little sangria, country music, and ribs by the Guadalupe river. 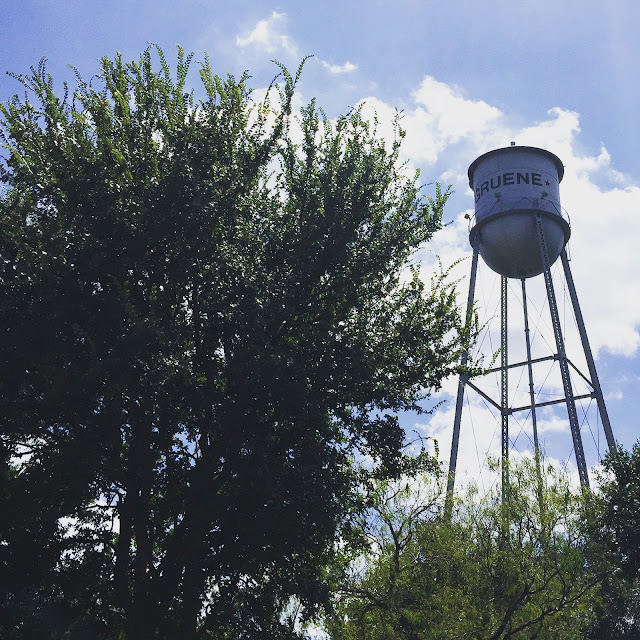 Fun fact: Gruene Hall is Texas's oldest dance hall and many, many famous country artists have played there! We were there on a Sunday and the place was hoppin'! 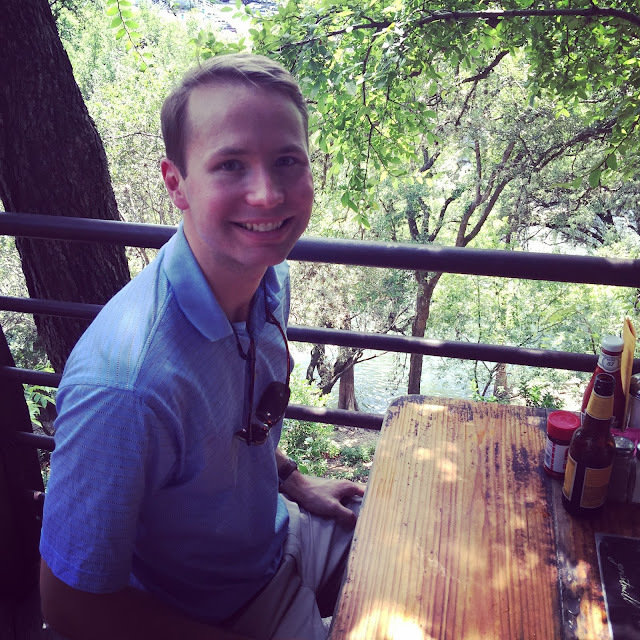 John was a happy camper with riverside seating at the Gristmill! I bet it was HOT this weekend!!! I've never made it to Greune (or anywhere outside of SATX tbh), but I feel like it's one of those Texas bucket list things! San Antonio looks gorgeous! All that mexican food… I'd be a happy camper for sure! Glad you guys had a great weekend! You guys have had so many fun adventures this summer! San Antonio looks beautiful! Gruene is heaven on earth! Glad you had fun! Fun! We honeymooned in San Antonio almost 9 years ago! Of course, at the time, I didn't like Mexican food. The horror!! What a fun weekend-- that is one place I would probably love to visit, but never think of going! I love all of your dresses and all of those drinks look delicious! Great photos, and awesome looking trip! My Dad lived there when he was little for a bit and he always says it was one of his favorite places he ever lived. It looks a bit magical. What a fun summer of travel!!!! Looks like a lot of fun! I didn't realize San Antonio was such a beautiful city! Looks like fun! You guys have done a lot this summer! Well yall saw a lot fast! 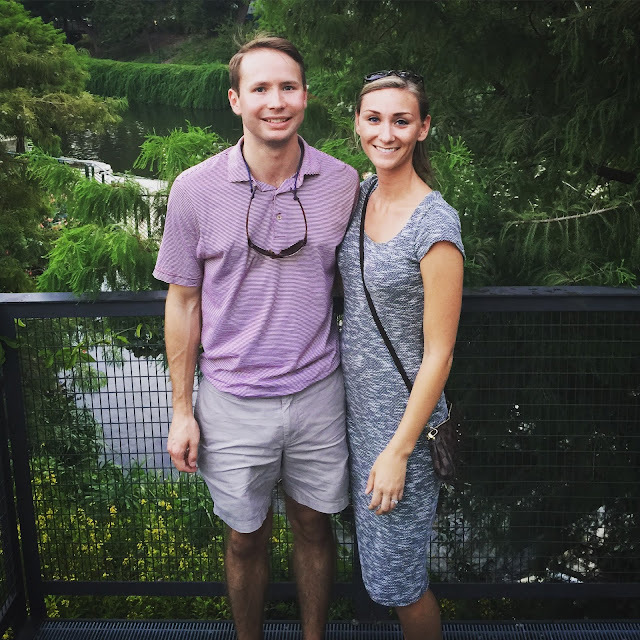 Love that you went to the gristmill, awesome place! I'm determined to go back to dance because we didn't get to when I went with my Youth group, haha. 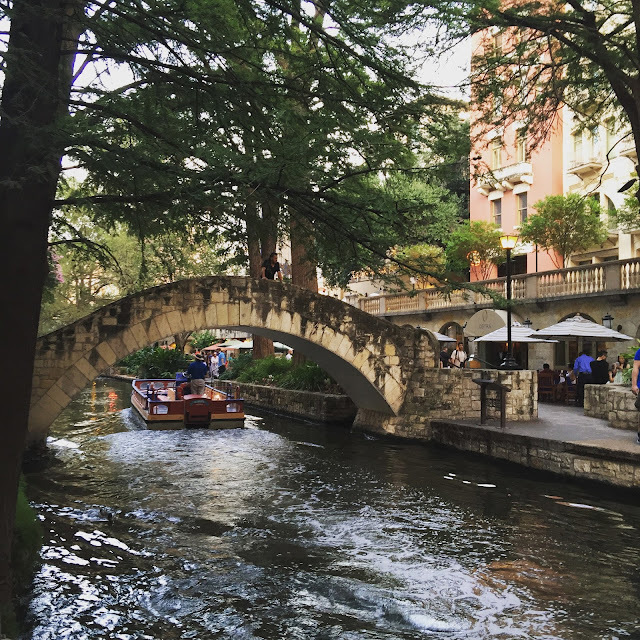 I've heard that San Antonio is beautiful and your pictures prove that! Glad you had a great time! Ahhhh once again, so close yet so far away!!! P.S. 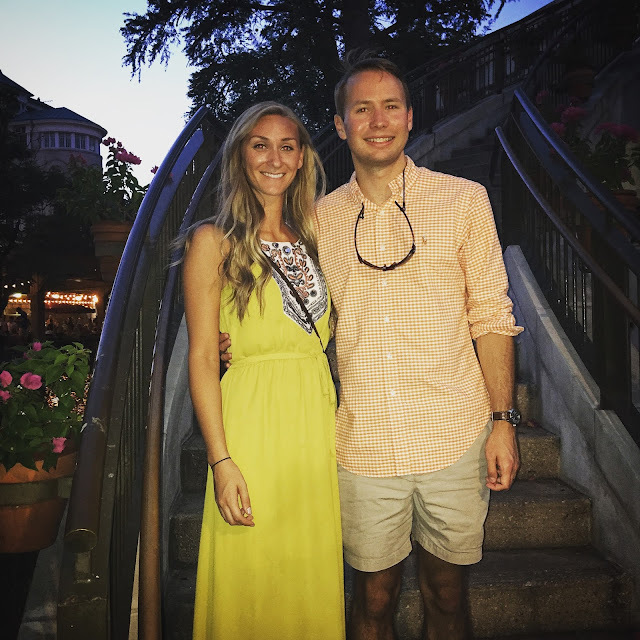 loving all of your dresses in these photos! Looking fab as always! Looks like a great trip- I remember that pretty river from The Bachelorette! You two visit some pretty places; I always like seeing your pictures. Ahhh! Love this! Y'all got to do so much!! So glad that you made it to Gruene and the Gristmill....yum!! Such beautiful pictures! That first one is so dreamy!